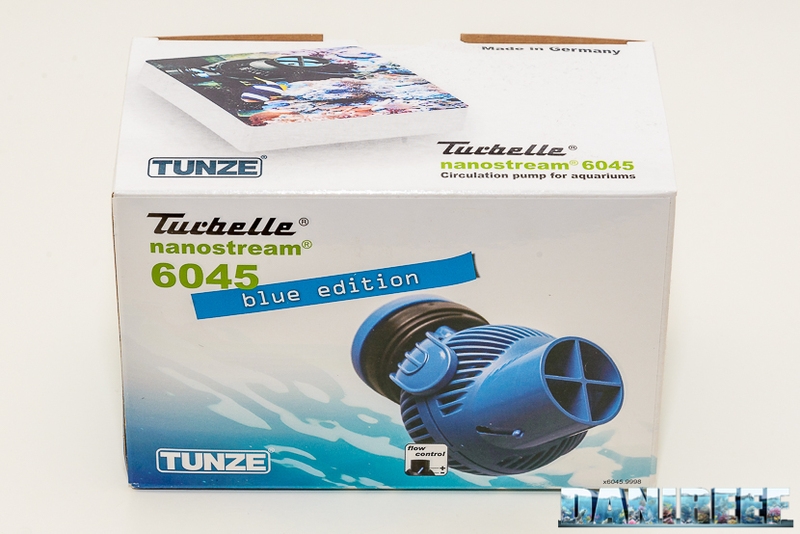 Tunze has just launched the Blue Edition of one of its best sellers, the Tunze Turbelle 6045. Tunze Turbelle 6045 pump has a fixed flow rate of 4500 liters per hour and just 7 watts/hour of power consumption. 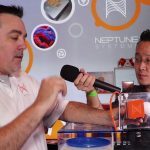 We’ve never had the chance to review this product for Reefs.com, though we have used it in the past; we actually focused on its bigger sibling, the 6095. But today, in honor of the 6045’s 10th birthday, we want to spend some time talking about these little pumps. 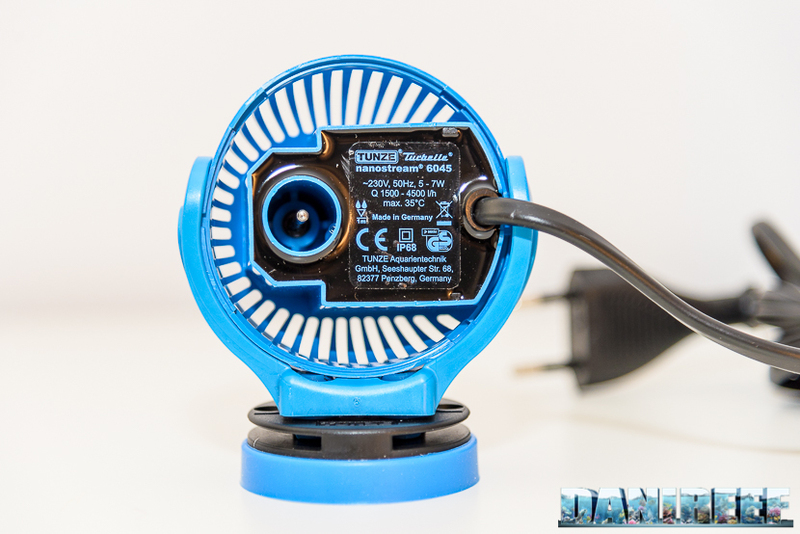 Tunze actually launched the Blue Edition in celebration of the 6045 pump’s 10th anniversary, but obviously our review applies to both the black and the blue versions. 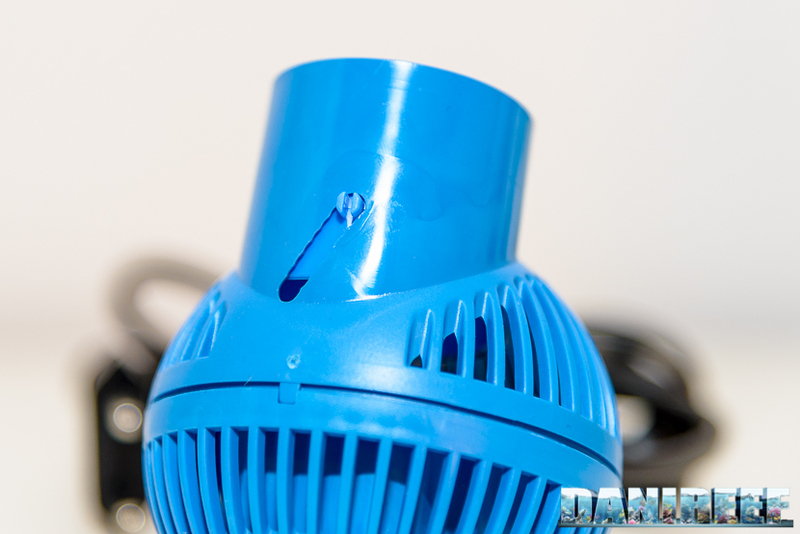 The blue color can seem strange, as we are not used to seeing colored pumps in our tank. It’s a very particular choice. Their efficiency is very good: 643 liters per watt. Let’s compare it with other high-efficiency pumps: the Rossmont Mover MX15200 has a 608l/w efficiency (Rossmont Italy Mover M 15200) the smaller Rossmont Mover M 5800 (Rossmont Italy Mover M 5800) has 580 l/w, slightly lower than the Sicce Voyager nano 2000 (Sicce Voyager Nano 1000 & 2000) with 667 liters per watt efficiency, or the Tunze NanoStream 6125 with an efficiency of 545 liters per watt. From an economic point of view, the pump is sold for 71,50 euros, so we can calculate an efficiency of 63 liters per euro spent, compared to 68 liters per euro for the Rossmont Mover M 5800 (today priced at 84,90 euro), 109 liters per euro for the big Rossmont Mover MX 15200, 54,43 l/euro of Sicce Voyager Nano 200 and 71 liters per euro for the bigger 6125. 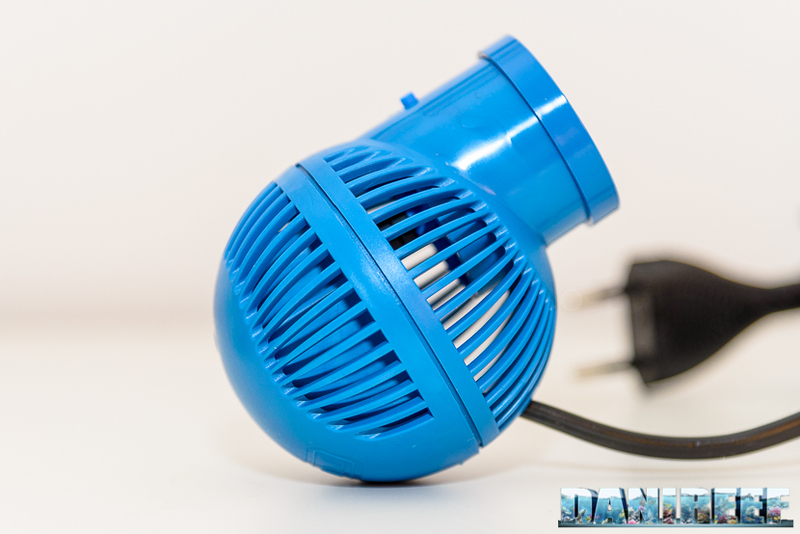 The pump is sold with its protective grid and magnet in a simple but complete package. 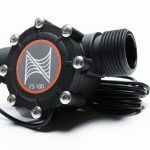 The color of the pump doesn’t affect how well it works; a pair of Tunze Turbelle 6045 is sufficient for a 200 liter SPS tank, if they are used in an alternating mode. This way, we obtain a water flow of 20 times the total tank volume, as effectively only one pump at a time is functioning. 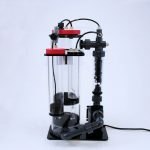 I used this little pump in my aquarium to push water behind the live rock, together with two Tunze Turbelle NanoStream 6095. Tunze Turbelle 6045 has been running in my tank for about 2 months, during which it was never turned off. I consider this period long enough to be able to find any hidden functioning faults – also because I never cleaned it! We like to mistreat the pumps just to see how far they can go. Alternate functioning with frequent pulses on a hourly basis could lead the pumps to become faulty quite soon. But with two cycles per day, simulating tides, these pumps should work well for a very long time. In any case, switching the pumps on and off every hour would be rather annoying, and I wouldn’t recommend it. If you are in need of a pulse mode, I recommend you buy the more expensive but also better-performing electronic pumps. The outer body is spherical and can be oriented in any position, thanks to the special rotating hook. The opening through which the water comes out only has two thin frames that don’t seem to disturb the water flow. Here you can mount the protective grid which we highly recommend; it would only slightly lower the flow. 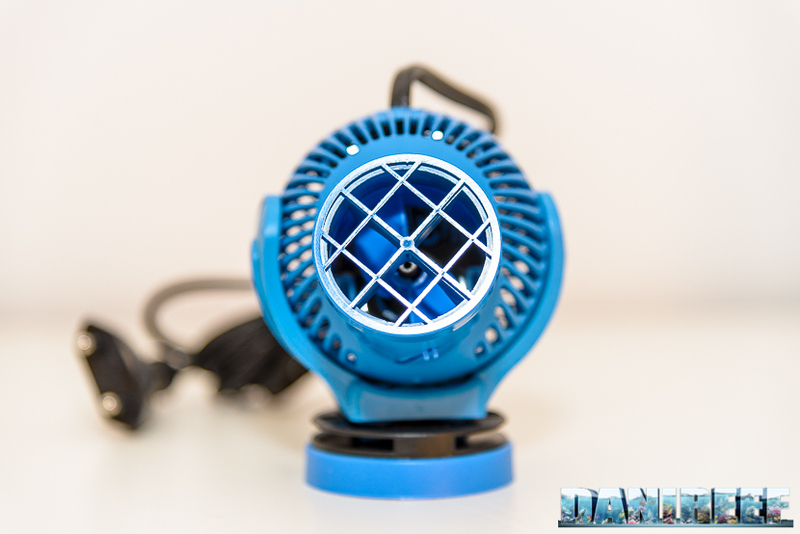 Tunze Turbelle 6045 Blue Edition has a mechanical regulator for the water flow, which Tunze says can lower the flow to a minimum of 1500 liters/hour with a 5 watt energy consumption. The switch, pictured above, acts on the 1cm diameter cylinder, and regulates the water passage, blocking it when the switch is pushed backward, and lowering the amount of water going through the impeller, and therefore the flow. We cannot tell if the flow truly changes from 1500 to 4500 liters, but we can observe that there definitely is a considerable difference. The glass holding magnet can deal with thickness up to 15 mm. 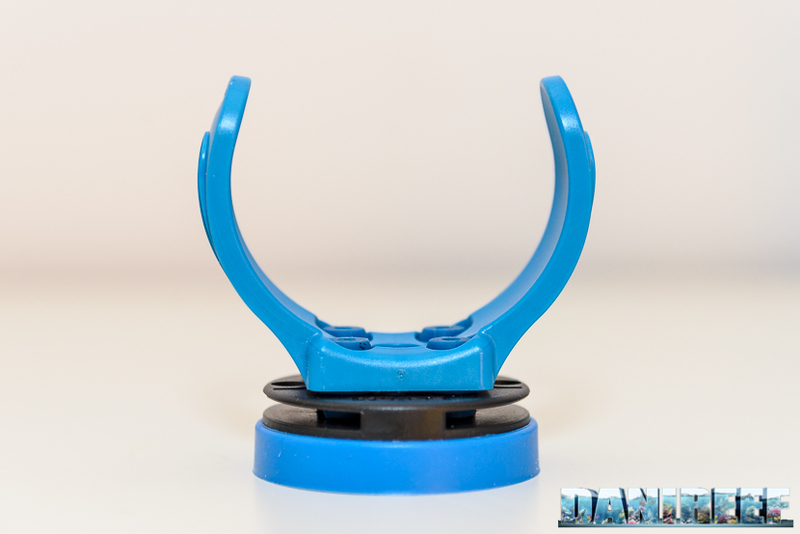 The inner magnet has 4 blue rubber feet called Silent Blocks which absorb vibrations and limit the noise. 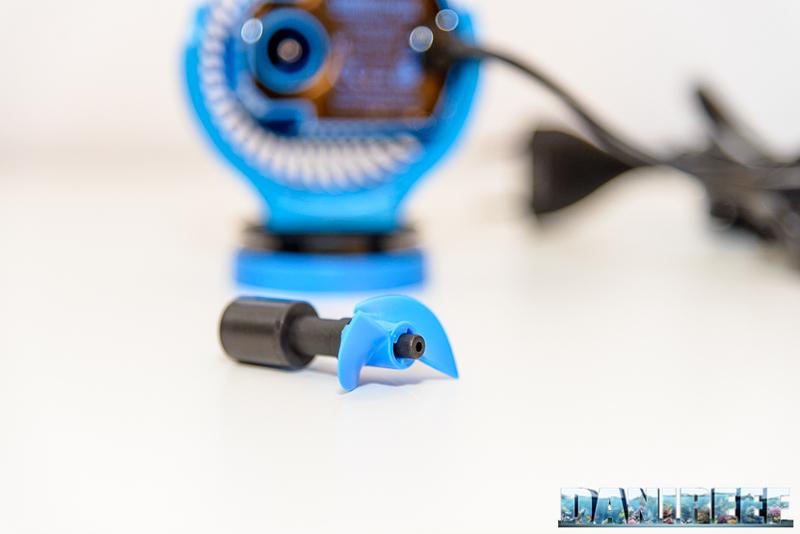 I always liked the Tunze system, as it combines simple manufacturing with a wide range of pump orientation. 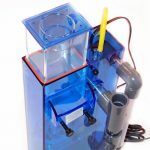 It can be bulkier than other solutions, but the pump remains very close to the tank walls. 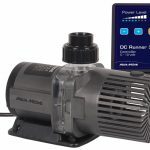 Tunze has a reputation for its noiseless pumps and this latest model didn’t disappoint our expectations. We verified this by measuring environmental noise, with the tank and all its accessories working but the pump, and the phonometer at a 1 meter distance from the pump. We then measured the noise of the whole tank plus the Tunze Turbelle NanoStream 6045 pump working. 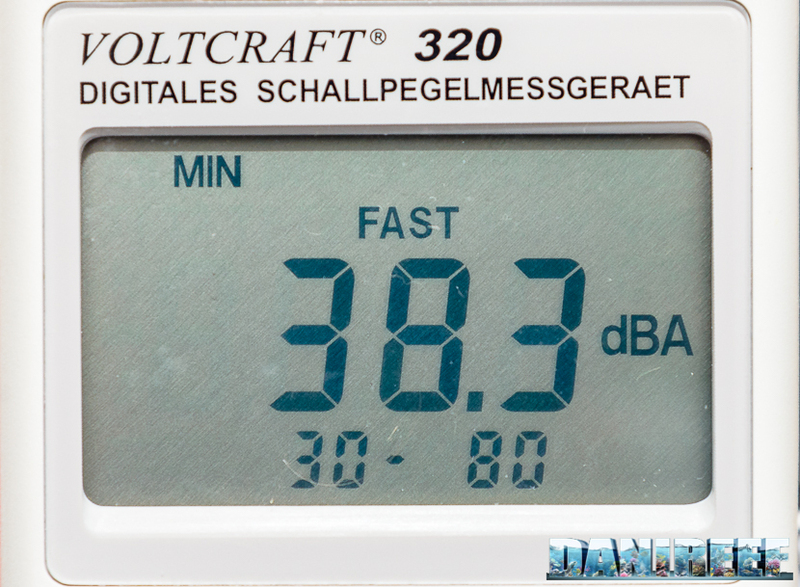 There is a very small 1.3 dB difference – the pump is almost noiseless. 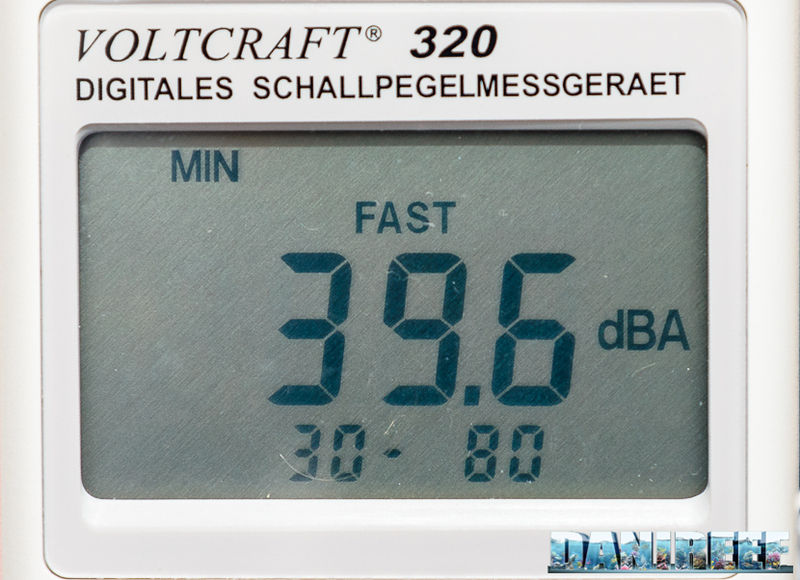 To measure the noise I used, as always, the professional phonometer VOLTCRAFT 320, digital phonometer IEC 651 Type II which was sufficiently accurate, seeing the results. 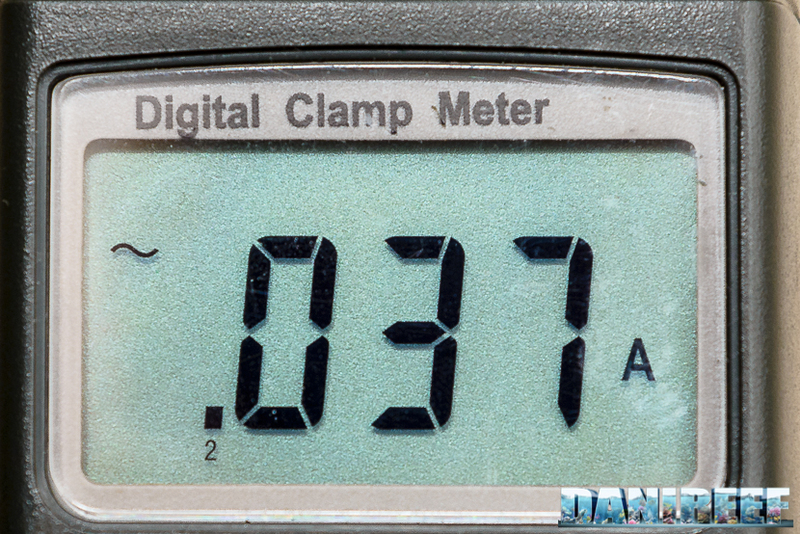 Considering the type of noise we needed to measure, all the measurements were recorded with dBA wave attenuation. The measurements were taken with closed windows, the phonometer placed on a tripod 1 meter distant, with minimum intervals of 120 seconds between measurements. It is quite hard to measure instant energy consumption. In order to do so, I used a current probe which recorded an electric current of 0.037 A. This is only a partial measure, as it was impossible to record the power factor (cosφ). Anyway, we can still make some interesting deductions. The adsorbed current, or the power consumption, results are as follows: Tunze Turbelle NanoStream 6045 with a flow rate of 4500 l/h: 0.037A x 226 V = 8.36 watt x cos(fi) Usually, a pump with a neodymium magnet, like the 6045, has a cos(fi) with a value of around 0.85, while a pump with a ferrite magnet has a cos(fi) of around 0.6. In this case, the energy consumption of the Tunze equals 8.36 watt x 0.85 = 7.1 watt, very close to the 7 watts declared. We should remember that the cos(fi) was assumed, having not being able to measure it. We want to underline that the apparent power of 1.26 watt in this case (8.36-7.1 watt), is not counted by the home electrical counter, so we will not spend more. This happens with any pump, Tunze is not an exception. 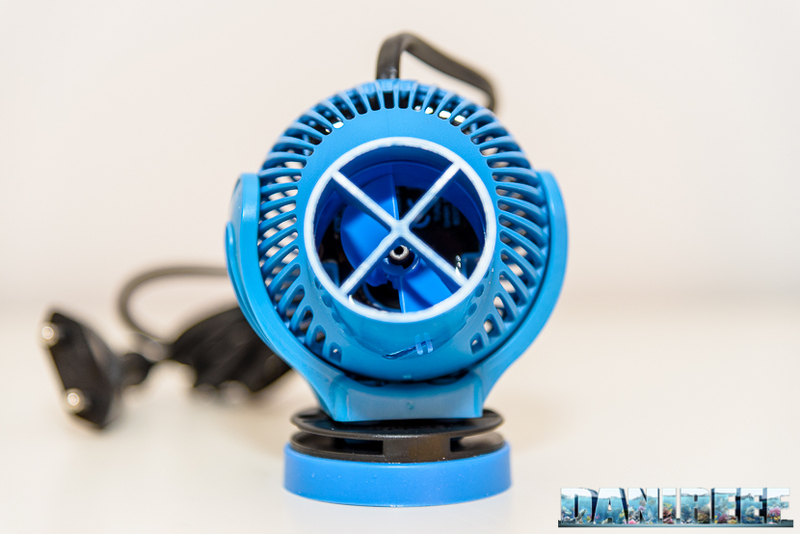 Considering an energy consumption of 7.1 watt, and the energy price in Italy of 0,27 euro per kwh, we could use this pump continuously for a whole year with a power consumption of 62 kwh, which will clearly be the same using a pair of 6045 alternately for 6 hours each, resulting in 16,8 euro per year, or 1,4 euro per month. We removed the external grid by applying a small amount of pressure on the pump’s sides, and are left with the pump’s core, including the small impeller. 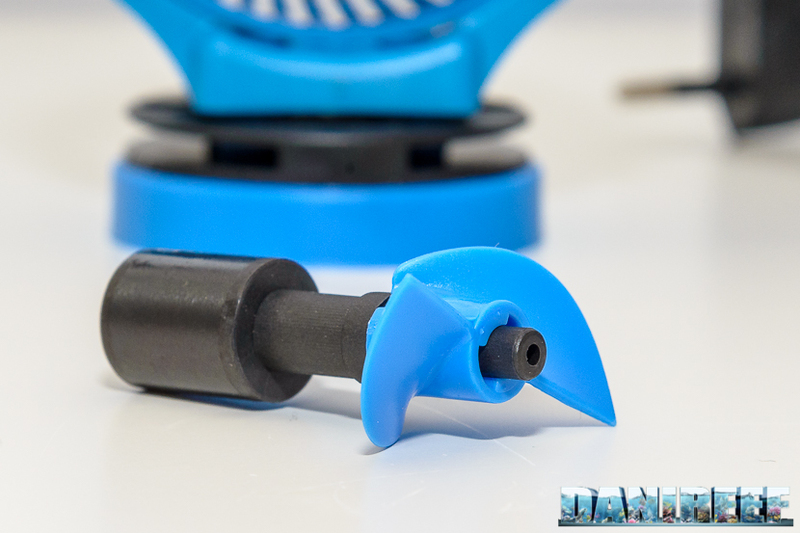 It is a typical Tunze impeller with two blue flaps. The flow comes out from a rather small opening if compared to current standards, and the opening can be regulated to reduce the flow rate. It is definitely a sufficient flow for a marine tank. 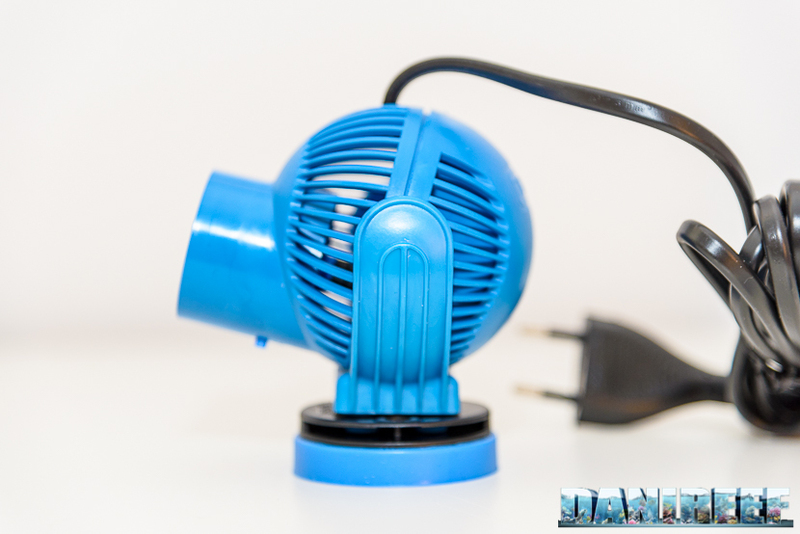 The pump doesn’t have a power supply, just a simple cable with a plug.